The next few shots are from the Columbus Museum of Art. We went on Sunday as it is something my Dad really enjoys and I had never been (despite the fact that it is 5 mins from my house). 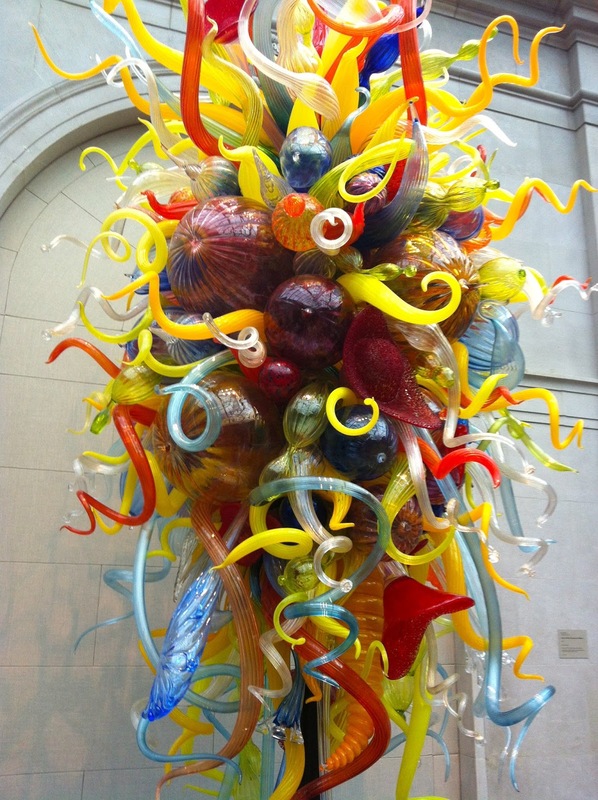 Bonus: it is actually free admission on Sundays! I took pictures of some of my favorite pieces while we were there. Amazing Chihuly glass sculpture was displayed in the atrium. I am so fascinated by these! 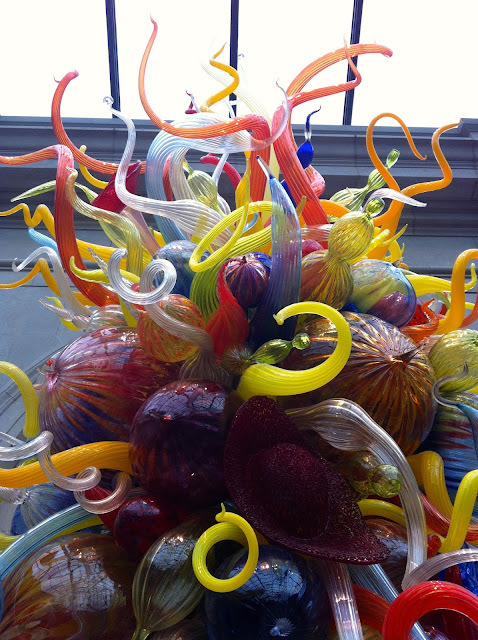 They are blown glass and are one-piece. Can't even begin to think how that is possible. 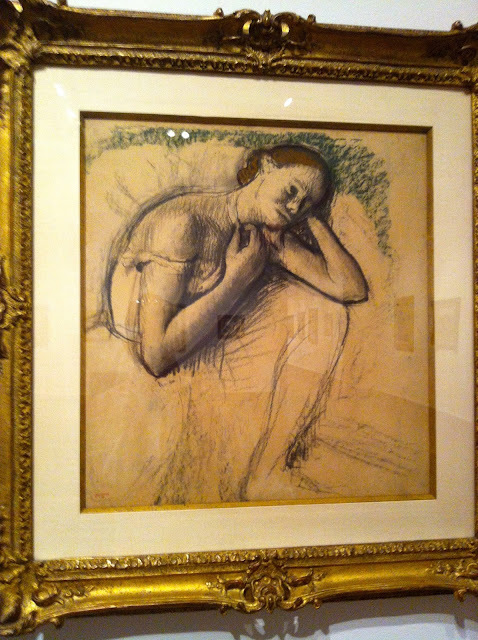 They did have quite a few pieces by very well known artisits, such as Picasso, Monet, and this little dancer by Degas. Not my favorite thing he has ever done, but since I am a classically trained dancer, I have always felt drawn to his pieces of ballerinas. My favorite piece all day was in a room with 3D type images and structures made from interesting textures and materials. First of all, I love it because it is my favorite color...white ;) But how amazing is this...it is made from hundreds of layers of paper with the designs cut out of them. I was in awe! My mom and I also went shopping while they were in town (Dad didn't come with- no surprise there!) I took her to the discount outlet I posted about a couple weeks back, I was SO excited to share it with someone! Needless to say, she loved it :) and we are already talking about when we can go again (this time with my sister too). 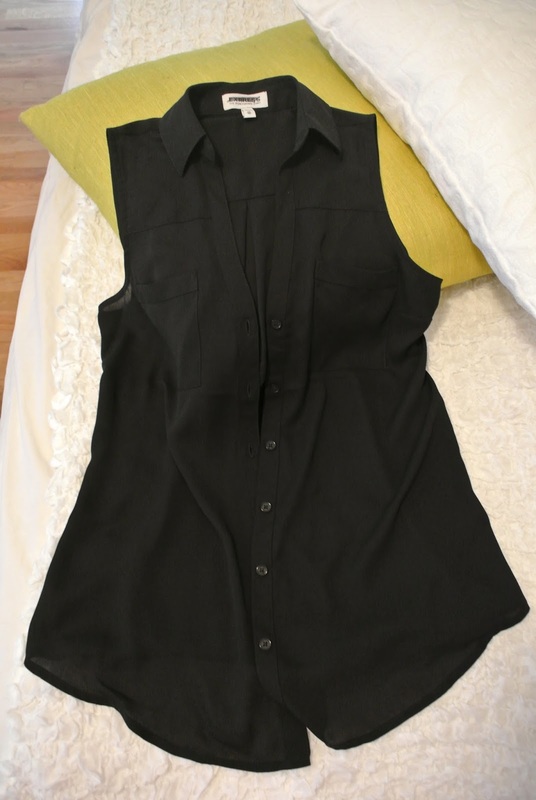 I got a gorgeous sleeveless black blouse (Express) which is perfect for work, but also looks awesome with jeans and a pair of black stilettos! I am a very feminine person and for some reason, I just can't stand a boring t-shirt unless I'm at the gym. And even then I don't like them that much. These are more "my type" of t-shirt...both Express. 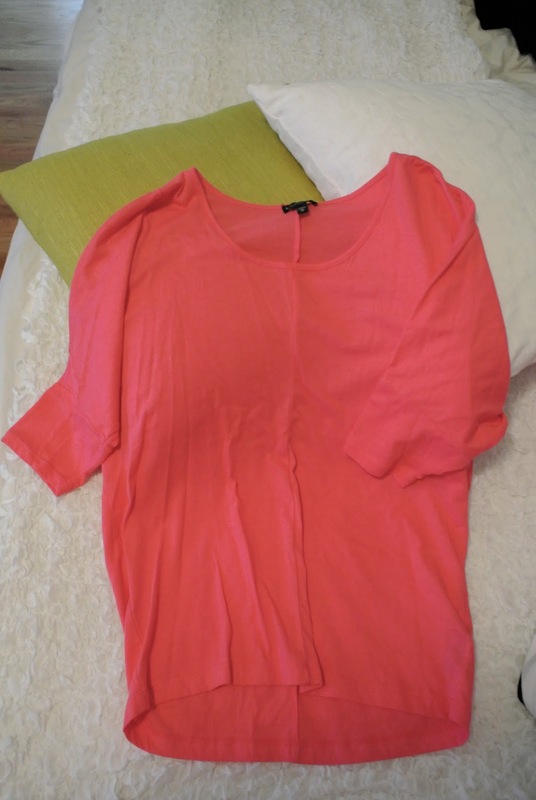 Slouchy coral pink and V-neck nautical style with adorable button detail on the sleeves. I also picked up a new VS bra, a basic white Express tank, and two pairs of workout pants! All for $66.00 -- I'm in love with this place. Hope you all had a wonderful Father's Day weekend and got to spend some time with your families!